Announced in the IFA 2014 along with Xperia Z3, this mid range smartphone is expected to compete against current smartphone available in this price segment. This year Sony announced the successor of Xperia E1 at the IFA, the all new Xperia E3 and now the Xperia E3 is finally available in India. The phone comes with a dual-SIM variant the E3 dual which is slightly higher in case of price. 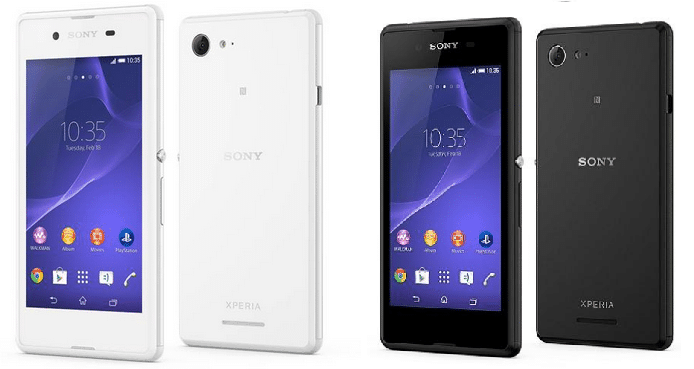 Xperia E3 costs Rs 11990, while its dual SIM variant Xperia E3 dual costs Rs 12990. But the Xperia E3 will face some tough competitions from phones like Moto G, Micromax Canvas Nitro and a few others, which are priced lower than Rs 15000. Both the Xperia E3 and E3 dual has similar specifications. The phones come with a 4.5 inch IPS display with 480×854 pixels resolution. The phoneshave 5 MP snapper to capture your favorite moments and also have a front camera for video calling. Along with camera features, the phones come with Sony’s own photo and video editing apps, and have good features like HDR. The phones are powered by a 1.2 GHz Qualcomm Snapdragon 400 quad-core processor processor coupled with 1 GB RAM. In case of storage, there is not any huge space provided, just 4 GB of on-board storage is available, though you can expand t via microSD. Connectivity options on the Xperia E3 include 4G LTE (in some markets), 3G, GPRS/ EDGE, Wi-Fi, A-GPS with Glonass, USB 2.0, FM radio with RDS, Bluetooth 4.0. There is a 3.5mm jack available for using compatible headphones. The smartphone weighs 143.8 grams, and measures 137.1×69.4×8.5mm and the both of the E3 and E3 dual are powered by 2330 mAh battery. One of the new features introduced in the Xperia E3 is the ‘shake to start’ app that lets users customise shortcuts to access the preferred apps by holding the handset and flicking the wrist. That is some kind of new idea in this field, in case you want to know more about E3 and E3 dual, we have added the detailed specifications below. Both the phones are same, just they differ in case of the number of SIM slots. Also read: Samsung Galaxy Note 4 vs Sony Xperia Z3 : which Smartphone to choose?